Score Cricket 11. The name is enough to figure out that this is a fantasy cricket platform. I found it on Google play store a few days ago. And after trying and testing decided to write this review. Here at InfoSmush, I review and share many fantasy sports apps and sites. 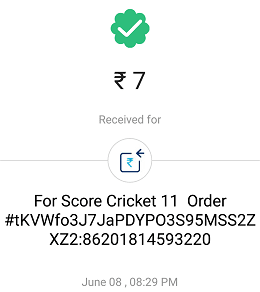 A while back, I reviewed Cricking Duels where you can get Rs.89 cash bonus on sign up and PlayUp which is also a free fantasy sports platform. On PlayUp you can play free fantasy sports and win points which can be redeemed for cash and vouchers. Coming back to Score Cricket 11. It is a free fantasy sports app where you can play for free and win real cash. Let’s create your account first. 2. Open the app and Sign in with Google, Facebook or mobile number. It’s pretty simple and similar to other free fantasy sports apps. Select a match from the upcoming matches section. Select any one of the two contests to create your team. Create your fantasy cricket team of 11 players. Select Captain and Vice-Captain. Captain gets 2 times the point he earns and vice-captain 1.5x. ScoreCricket11 brings something new to the table too: There is no salary cap or credits limit. Players are not assigned some credits that you need to pay to select that player. You can select players and create your team without any restriction of credits. Which really appreciated. I still remember how mind-numbing it was to create my fantasy team for CSK vs RCB. 4. Join Contest: For every match, there are two contests/leagues on ScoreCricket11- Cash Contest and Coin Contest. Cash contest: In this contest the entry is free and you can join with only 1 team. Here you can win cash, based on your rank. Coin contest: Entry is free and you can join with only 1 team. But here what you win are coins. Coins can be redeemed for various products. ScoreCricket11 has the lowest withdrawal threshold among all the fantasy apps that I’ve ever reviewed so far, just Rs.1. That means you can withdraw cash even after your first win in cash contest as the lowest prize is Rs.1. You can withdraw cash to your Paytm wallet. Coins shop is open now. You can redeem your coins for electronic products like Amazon Echo Dot, Mi Band, Power Bank, and Ear Phone. Another thing that I like about the app is that you don’t have to verify your PAN card or any other Identity proof to request a withdrawal. Yes, it is a legit app where you can play fantasy cricket for free and win real cash. ScoreCricket11 is a new app so, there aren’t many users. Meaning, competition is less in the contests as the number of players is low. So, winning will not be that hard. Besides, you have nothing to lose, it’s free and legitimate. 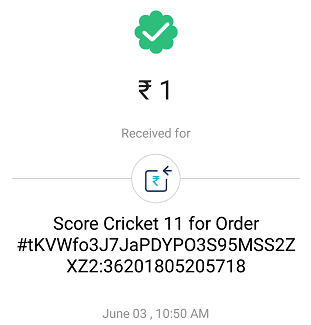 In future, the developers of ScoreCricket11 app are planning to launch another app where you can play by paying entry fees(like dream11). 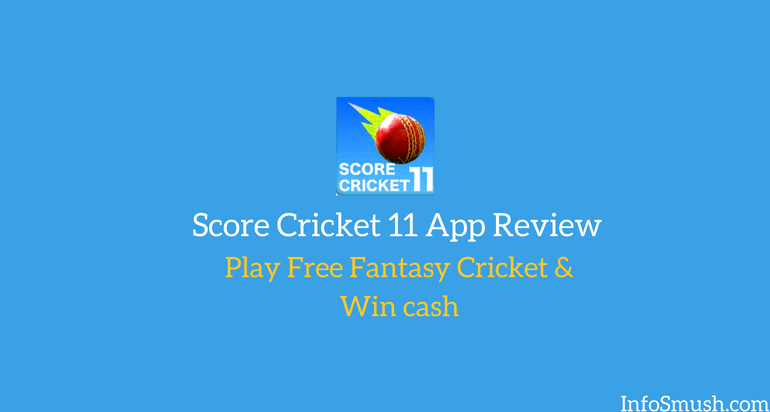 ScoreCricket11 for everyone that loves fantasy cricket because it gives you the opportunity to play and win cash for free. You can also try CricPlay to play free fantasy cricket for cash. The app is no longer available on the Play Store.